Do You Pay Attention To Details? The Folks At Angel’s Envy Bourbon Whiskey Do! So my wifeÂ KatieÂ tells me about an opportunity to sample some bourbon. I asked which bourbon, and she informed me it wasÂ Angelâ€™s Envy Kentucky Straight Bourbon Whiskey. I mean seriously, who doesn’t want to sample some free booze? And a bourbon that is getting a lot of attention and rave reviews. I immediately jumped at the chance. Now Iâ€™ve read some reviews for spirits, but mainly Iâ€™m a cigar guy, doing tastings and reviews (seeÂ www.dscigars.comÂ for cigar reviews). But Iâ€™ve always wanted to try and review spirits and thought this would be a great opportunity. Angels Envy is an artisan bourbon created by Lincoln Henderson, Master Distiller for Louisville Distilling Company, and has been doing this for almost 40 years. For Angelâ€™s Envy, Henderson uses mineral-rich Kentucky lime stone water for distilling and it is aged in American white oak barrels for a minimum of four years. Henderson personally tastes every barrel to see if it is ready for aging. Some might feel he is a perfectionist since he tastes every barrel of bourbon himself. I say thatâ€™s just someone who is dedicated to his craft, and it shows. Henderson uses port wine barrels personally selected from Portugal for final aging. 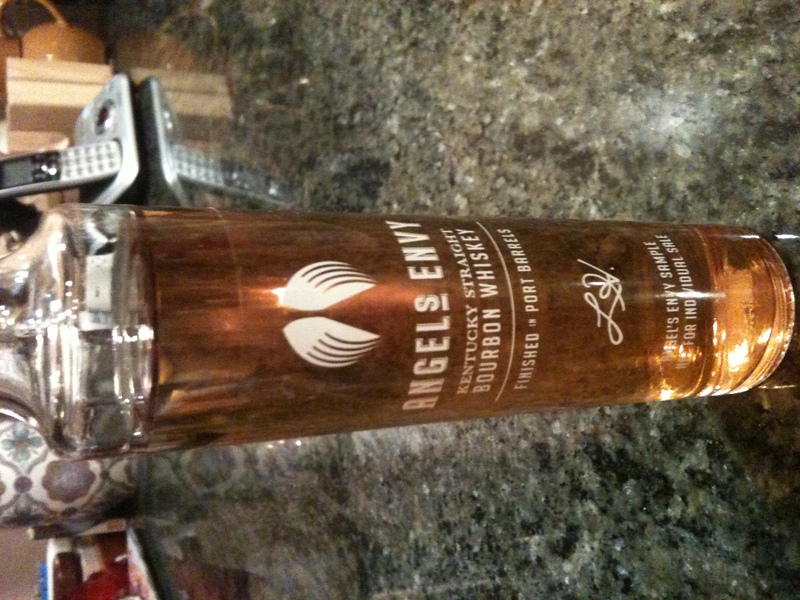 Once we received the Angelâ€™s Envy Bourbon, I couldnâ€™t wait to try it. Immediately I noticed itâ€™s beautiful amber color. Upon opening it, I poured myself a glass and began the tasting. It has a soft vanilla aroma, with hints of nuts and raisins. On my first sip, the first thing I noticed was how it didnâ€™t bite, when you think of bourbon or whiskey, usually itâ€™s got a bite to it, but this is very smooth. More sipping led to flavors of vanilla, toasted nuts, some maple syrup and a nice fruitiness to it. One thing I was impressed with was the finish. Again, with the older style bourbon, it starts off with a bite and ends with a fire in your stomach. But the finish with Angelâ€™s Envy was smooth, just like the first sip. It created a nice little heat, but not too much where itâ€™s bitter, it leaves you feeling content. All in all, this is a great bourbon, something I would recommend it, especially to my cigar friends who are always looking for a nice spirit to consume while smoking a good cigar. 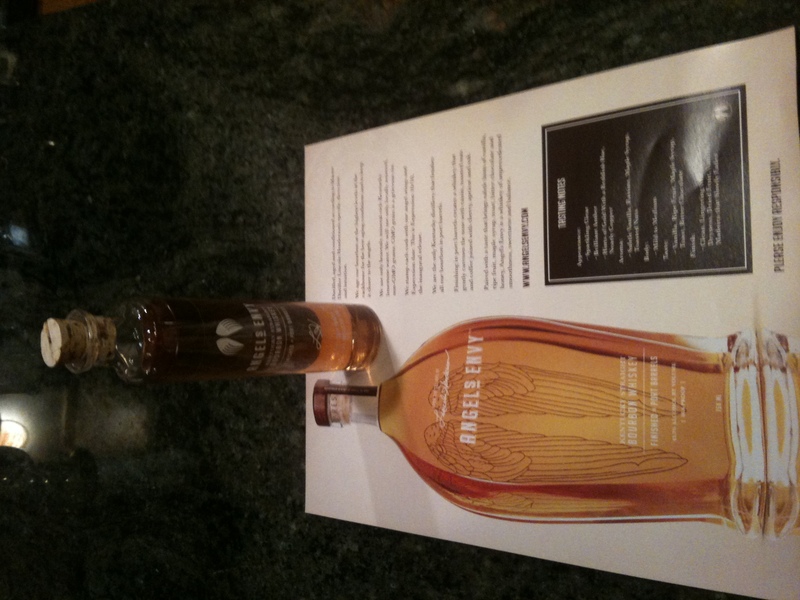 Try Angelâ€™s Envy Bourbon Whiskey today, you will be happy that you did. And make sure to notice the angelâ€™s wings burned into each cork, Lincoln Henderson pays attention to every detail, and so should you. 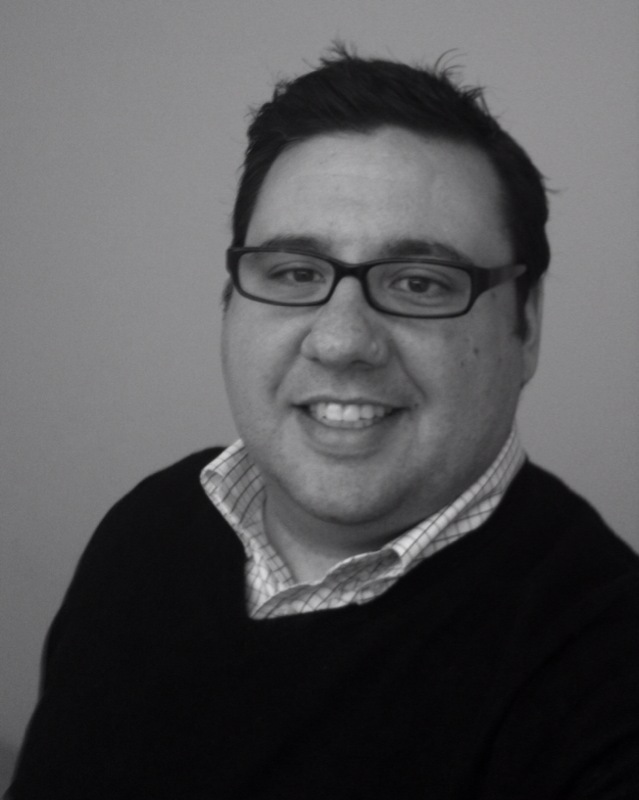 Nicholas DeVito is a freelance writer living in Central New Jersey. You can follow him on TwitterÂ @njdevitoÂ and read his cigar blog atÂ www.dscigars.comÂ and his personal blog atÂ www.nicholasdevito.com. *Disclaimer – I was not required to write this post. The thoughts and opinions expressed here are my own.